Winterkorn was CEO during a period when VW fitted 11 million diesel-powered vehicles worldwide with so-called "defeat devices" - software that made them appear less polluting in the lab than in real driving conditions. The group admitted to the fraud in September 2015, beginning a drawn-out process of fact-finding and legal action that has so far seen it pay out €29 billion in fines, compensation and buyback schemes, much of it in the United States. It was not immediately clear whether the other four accused on Monday - whom prosecutors did not identify by name or position - still work at VW or have since left. Volkswagen stressed in a statement that German criminal investigations into the company itself had closed last year, when VW paid a fine of €1 billion and its high-end subsidiary Audi another €800 million. 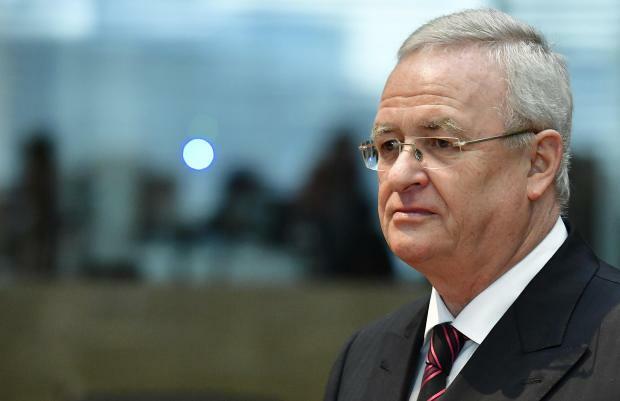 "Volkswagen will change radically... make no mistake, the supertanker is picking up speed," Herbert Diess - the group's second CEO since Winterkorn - said in March. While the firm has returned to similar levels of profitability as before dieselgate, its new technology is proving costly to develop - making for a double burden alongside the fallout from the scandal. Last year alone, bosses reported €3 billion of charges related to diesel in their annual results.